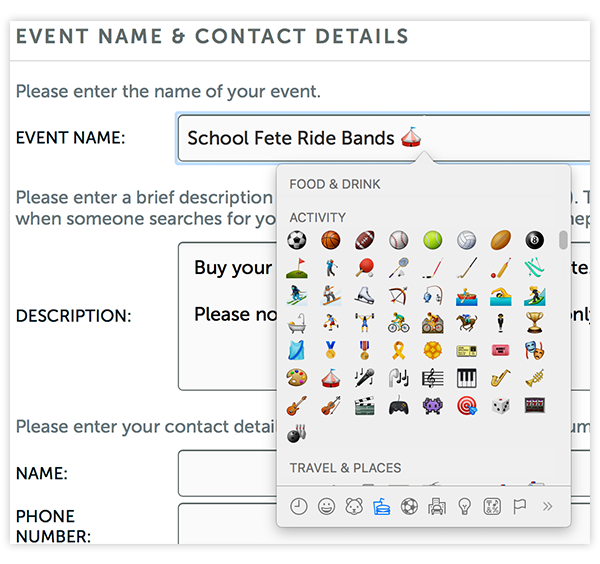 TryBooking supports all Unicode libraries, including emoji. As well as being a popular keyboard on mobile phones, emojis can be inserted from your desktop computer. On Mac, press Command + Control + Spacebar to bring up the emoji picker. On Windows 10, press Windows key + Fullstop. 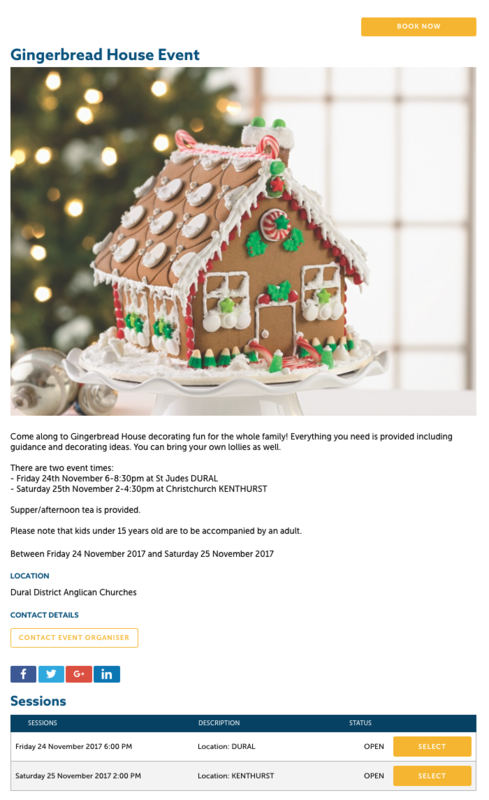 How do I add images to my event?